The National Road Safety Council (NRSC) has lauded the recent efforts of the government in introducing new measures aimed at tackling the increase in road crash fatalities, through the passage of the new Road Traffic Act 2018 last week Tuesday in the House of Representatives. The 2018 Act also repeals the Road Traffic Act of 1938 and needs to be approved by the Senate and given the Governor General’s assent before it takes effect. 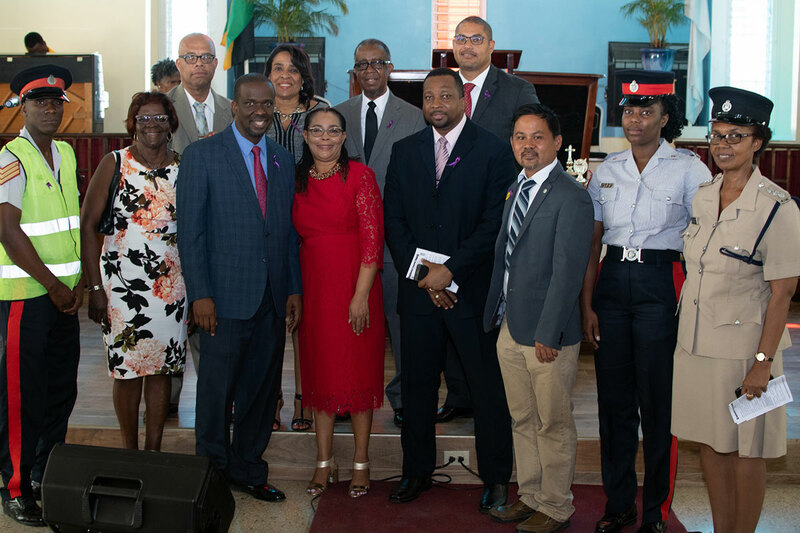 The comments came from the NRSC on Sunday at the church service in commemoration of World Day of Remembrance (WDR) for Road Traffic Victims, which was held at the Boulevard Baptist Church in Kingston. As at November 20 of this year, the Public Safety and Traffic Enforcement Branch (PSTEB) of the Jamaica Constabulary Force has reported that a total of 316 Jamaicans have been killed in 279 crashes. These numbers compare with 286 fatalities from 261 crashes for the same period in 2017. WDR was commemorated globally and the theme for 2018 is ‘Roads Have Stories’, based on Pillar 2 – Safer Roads of its ‘Global Plan for the Decade of Action for Road Safety 2011-2020’. In addition to remembering those killed and injured in road crashes, as well as their families and communities, it also aims to raise awareness of the need for safe road networks for the benefit of all road users through infrastructure assessments and improved planning, design, construction and operation of roads. Road Safety Committee; Gregory Chung, JGRA President; Cpl. M. Jones, PSTEB; Deputy Supt. Rowe, PSTEB; and Bobby Hammond (back row, far left), JGRA Road Safety Chair. « Bolt On Track To Join Mexican Football Club?